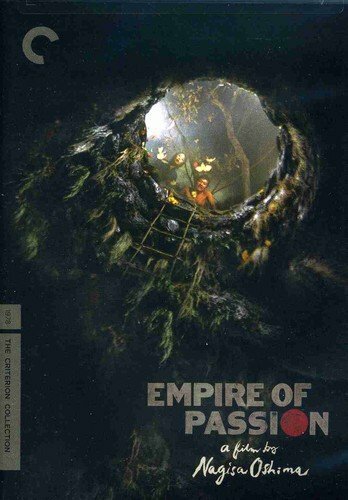 Nagisa Oshima writes, directs, and produces a gorgeously chilling ghost story that operates under themes familiar to many of his films - passion, lust, and obsession. This being a sort of spiritual cousin to In the Realm of the Senses, means those themes parallel much closer across both films, although here, the story is told in a more traditional manner. While Empire of Passion is the better fleshed out film, narratively speaking, I ultimately prefer the laser focus and over-the-top style of In the Realm, instead. Regardless, if you're even a moderate fan of Oshima's, or enjoy high-drama horror rife with duplicitous behavior, you owe it to yourself to give this one a go. A married woman and her lover murder her husband and dump his body into a well. After a while, his ghost comes to haunt them while the local gossip grows stronger.